NPR News Nuggets: Night Lights, Robo Cops & A Sweet Treat Here's a quick roundup of some of the mini-moments you may have missed on this week's Morning Edition. The Knightscope robots collect surveillance data and alert human authorities when the robots sense a situation needs police attention and action. A proton arc named Steve. Look up in the sky! Is it a bird? No. Is it a plane? No. Sorry to say it's not Superman either, but it's Steve! No, not Steve Inskeep. As Morning Edition host Rachel Martin said on Monday, Steve was the name chosen by Canadian photographers for a new kind of northern light they discovered. Hey, at least it's not Boaty McBoatface. The sky watching enthusiasts said they chose Steve with the movie Over the Hedge in mind. In the movie the characters also discover a new phenomenon and name it — can you guess?? Steve! 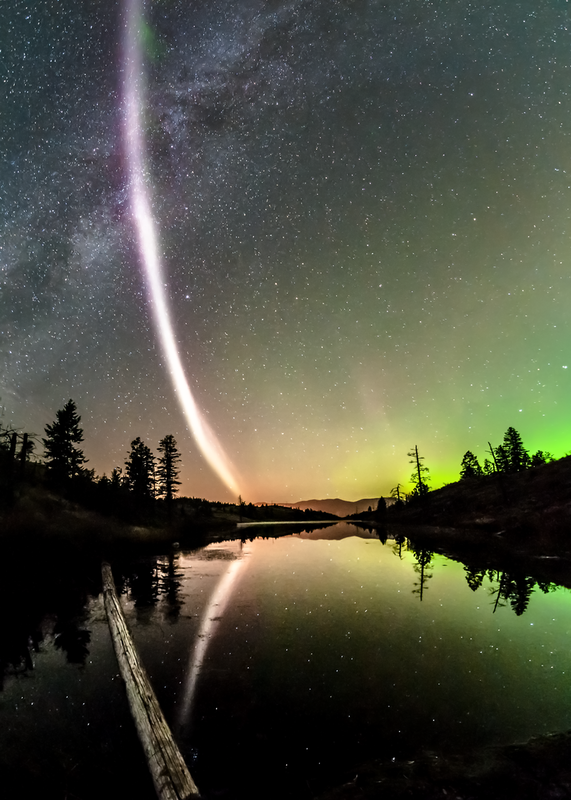 These photographers describe Steve as a ribbon of purple light in the night sky. Most northern lights result from charged particles emitted from the sun colliding with Earth's magnetic field, but, according to The New York Times, Steve isn't quite like that. So, while the exact explanation for Steve is unknown, he's still a pretty cool guy just lighting up the night sky. Here's a new life goal: get a species named after you. You can join the likes of Luke Skywalker, Pink Floyd, Jimi Hendrix, and now, Radiohead. As Morning Edition host David Greene said on Tuesday, two scientists from the Smithsonian's Ant Lab discovered three new species of silky ants. One of these species is from Venezuela and the scientist chose to name it Sericomyrmex Radioheadi. According to phys.org, the scientists wanted to honor the rock group for their continued conservation work, which aren't just limited to organizations and support. As Rolling Stone reported the band operates with green initiatives in mind, such as running their buses on biofuel and encouraging carpooling to concerts. Last month, we told you about these hip new robots that are out on the streets of D.C. delivering food. Now those robots are pretty self-sufficient and good at protecting cargo they're carrying from potential food thieves. However, they are not all around crime stoppers. Don't worry though. If Knightscope has anything to say about it the company's robots will be the robo cops you could only dream of. 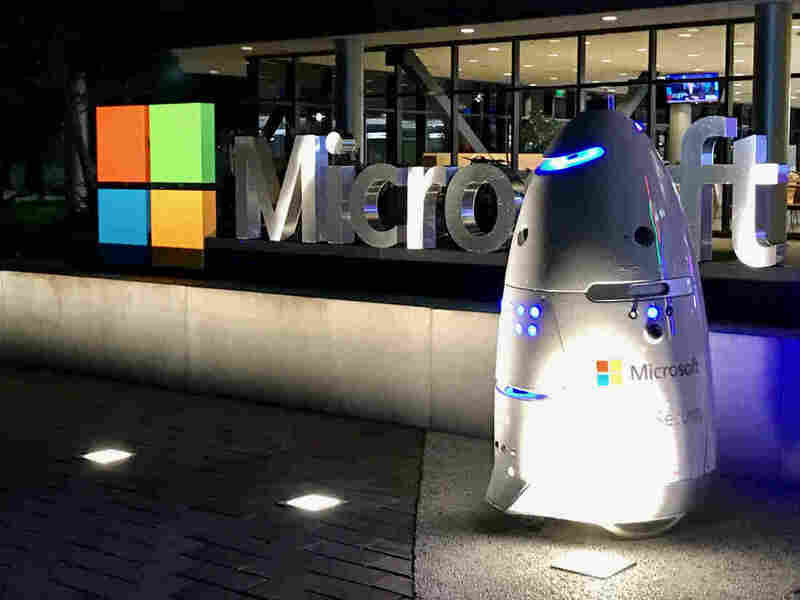 As Morning Edition host Steve Inskeep said on Wednesday, Knightscope is a Silicon Valley company hoping to prove its robots can help reduce crime and keep people safe. You may be thinking this sounds like the beginning of a real-life iRobot plot, but it's not quite there yet. Knightscope recognizes that robots cannot replace all humans that are necessary in these security roles. Instead these non-weaponized robots are meant to gather data from their surroundings, determine if there's a threat and then let the proper authorities (yes, eating and breathing humans) know, so they can take action. Testing of the robots is happening inside New York and Massachusetts shopping malls. If all goes well, the company could try to market these to police departments. If you're wondering if they work, one man tried to pick a fight with one of the robots in Mountain View, Calif. While the man did manage to knock the robot down, the fall didn't inhibit the robot from sending out an alert about the activity. The police came and the man was arrested. And the robot? Well, it got knocked and got up again. You are never gonna keep it down. 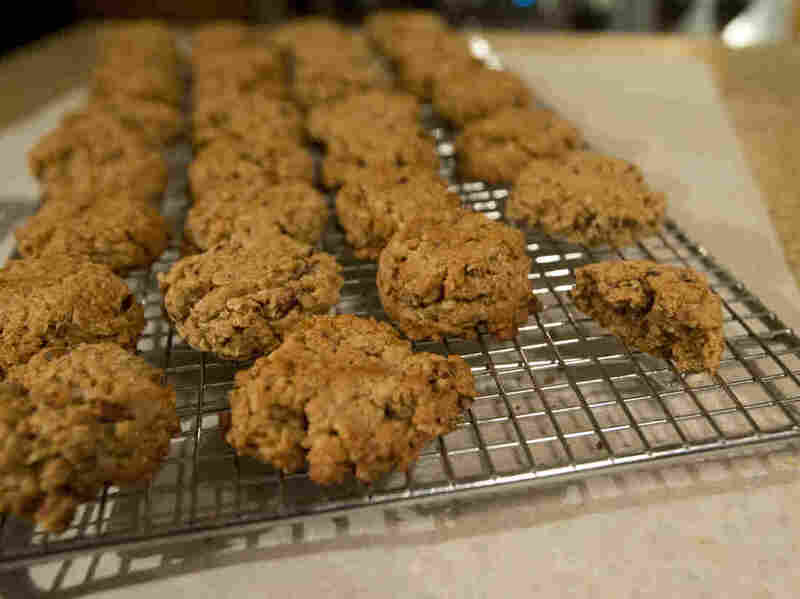 A law in Wisconsin bans the sale of baked goods unless the bakers have a license, but three women are trying to change that. If you see a bake sale happening in Wisconsin, it probably means a lot of planning and preparation went into making it happen. Why? Well, in the state, you can't sell cookies, brownies or any other type of baked good without a license. As Morning Edition host Steve Inskeep said on Thursday, the battle is just beginning, or rather continuing this year. New Jersey and Wisconsin are the only two states with laws like this, but three Wisconsin women want to change that for their state. No word yet on how those in New Jersey feel. You might think this is minuscule, but the women have support — a bit of a baking brigade. As the Associated Press reported, obtaining a license to sell baked goods doesn't mean these people can just bake them at home. Rather, they have to rent commercial kitchen space, undergo inspections and pay fees associated with this. Not exactly a piece of cake. This debate has been going on for a few years though and senators have debated the bills, but ultimately the bills have died from opposition by those who say undoing this law would hurt small businesses. This year is different though because the debate is going to court. The judge says he expects a decision on May 31. At that time we'll finally see how the cookie crumbles on this case.